Ideal for the quick and easy clean-up of adhesives, wet PU foam, wet paint, tar, sealant etc from splashes on hands, tools and most surfaces. The wipe material has a hi-tech cleaning solution that contains anti-bacterial properties. Dermatologically tested. Antibacterial tested to BSEN1276:1997 Standards. 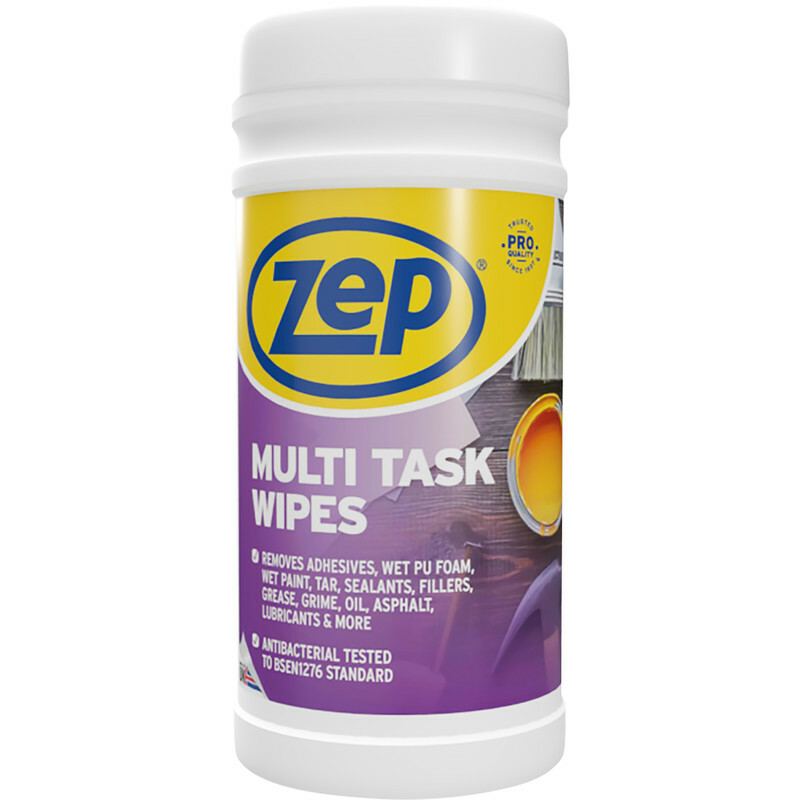 Zep Commercial Multi Task Wipes 100 Wipes is rated 5.0 out of 5 by 2. Rated 5 out of 5 by Battybat from Really great wipes. I’m so happy and pleased i brought this products, there are so much better. Like big and anti bacterial too. At a great price.